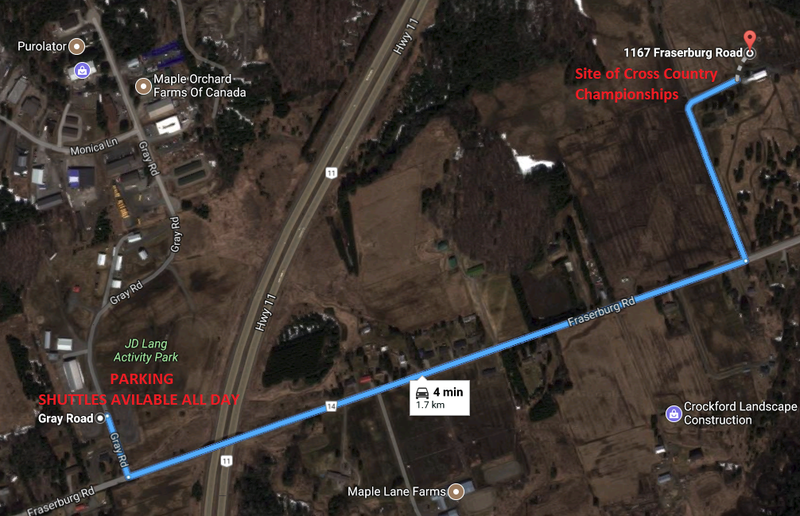 The Cross Country Championships will be hosted at Morrison Meadows in Bracebridge, Ontario. Morrison Meadows is a beautiful venue in the heart of Muskoka; a sport destination like no other as its natural terrain offers both spectacular beauty and physical challenges. The venue itself is a mixture of rolling open field space and trails through the forest. The town of Bracebridge attracts many visitors and offers a full range of accommodation along with a great selection of excellent restaurants. It is approximately 2 hours north of Toronto. 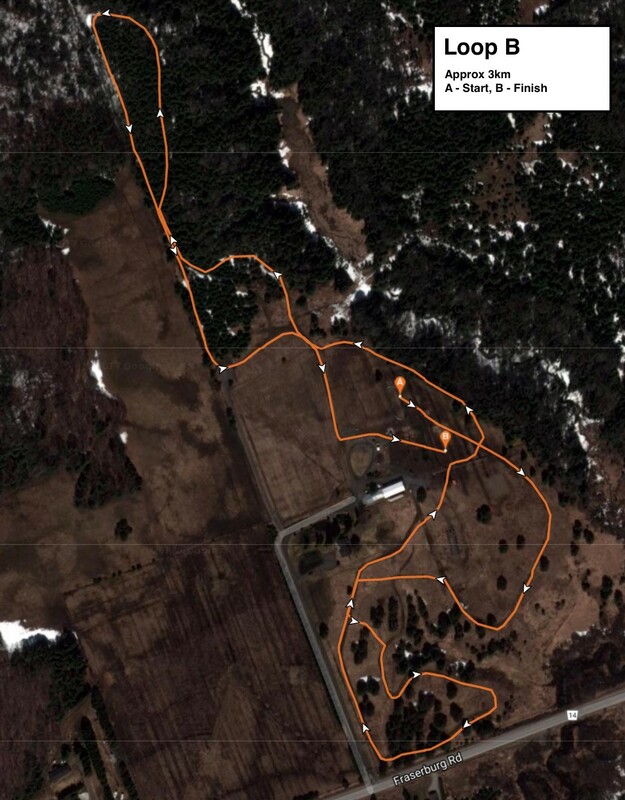 There is a 5km community run scheduled for 11:45 on the day of the championship. For those that would like to register for it please click here. There are also some volunteer spots available. If you are interested in volunteering please click here. Please ensure that teams are declared if your club is entering more than one team in any of the age divisions. If no declaration is made, only the top 4 athletes from a club will be scored for team standings. Clubs that declare more than one team may only declare 6 athletes per team. Declarations should be emailed to randolphfajardo@athleticsontario.ca. Food: Hot food, bottled water, coffee and tea will be avilable on site. Please take note that you can only do drop offs at the site of the Cross Country Championships. There is NO PARKING at the venue. There is parking located just west of the championship site by the JD Lang Activity Park. Shuttles will be available all day long to and from the Championship site. Shuttles will be available from 12pm – 4pm on Saturday to preview the course. On the day of the championship, shuttles will be available from 8am – 5:30pm. Due to wet conditions in Bracebridge, the maximum allowable spike length will now be 13mm (1/2″). Please plan for wet and cold conditions during the championship this weekend. The forecast is showing cloudy, light rain, and a high of 3 on Sunday. Final schedule is now available, click below. First performance list is now available below. Final performance list will be posted on Nov. 10 at 4pm EST. An updated tentative schedule has been uploaded. Please review the schedule in the link found below. 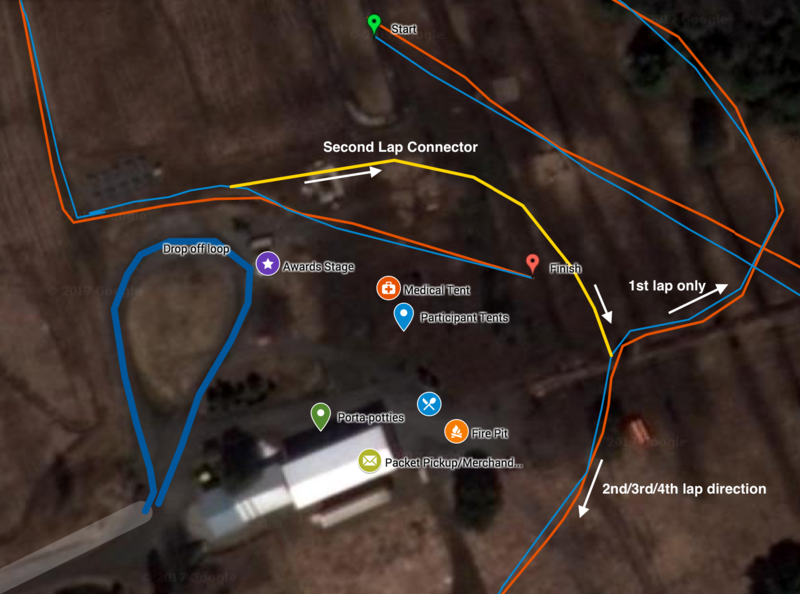 Additional overhead course loop maps and start/finish line area has been added. Please see below. 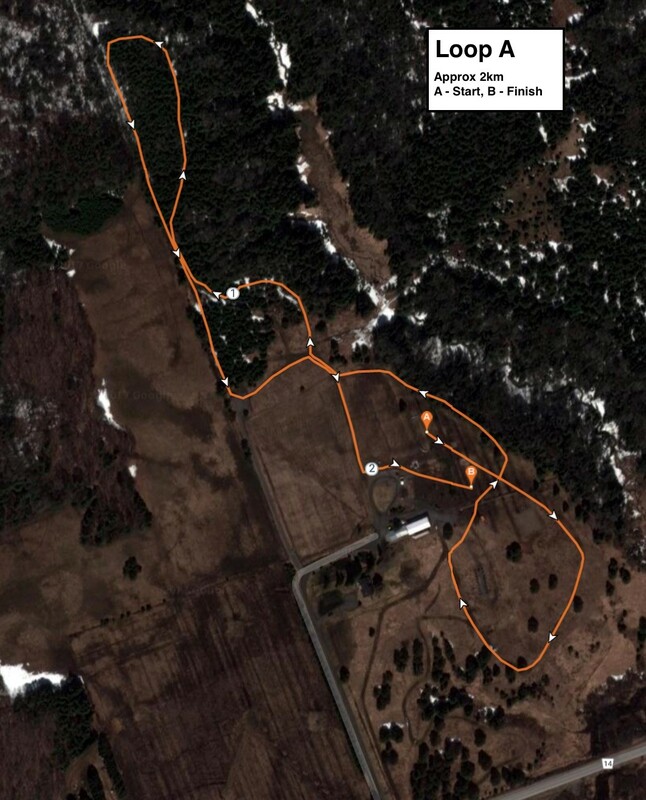 An overhead of the course loop is available here. Hotel information can be found in the technical package. Please note the distances offered for the 2017 AO Cross Country Championship this year. Girls and Women will be offered slightly longer distances in our effort to get male and female distances equalized. Full details in the technical package below. There are no changes to boys/men distances. Masters (30+) will run 5km. Early registration closes on November 6 at 11:59pm EST. Late registration and late fees will kick in on November 7 at 12:00am EST and run until November 8 at 3:00pm EST. For any other information on the meet, including directions to the facility, parking, or accommodations, please look at the technical package linked above. All athletes must complete a waiver and have it submitted in order to pick up their bib at registration. If the athlete has given power of attorney to their club, the club may sign off on the waiver and have it submitted to AO. Please find the POA waiver here.